The days of one spouse taking charge of the family finances are long gone, right? I wish that was the case. Over the years, I’ve edited a number of books aimed at helping women master the basics of personal finance and investing. Today, most of us have multiple bank and retirement accounts, pensions, insurance policies and, of course, countless passwords, so it’s important that all family members be able to access accounts easily, especially during emergencies. It’s difficult enough when you’re grieving for a spouse or other family member. The added stress of having to deal with bills and financial matters can be overwhelming. I’m sharing some pointers based on personal experience and that of some friends who have had to quickly learn to manage their finances. 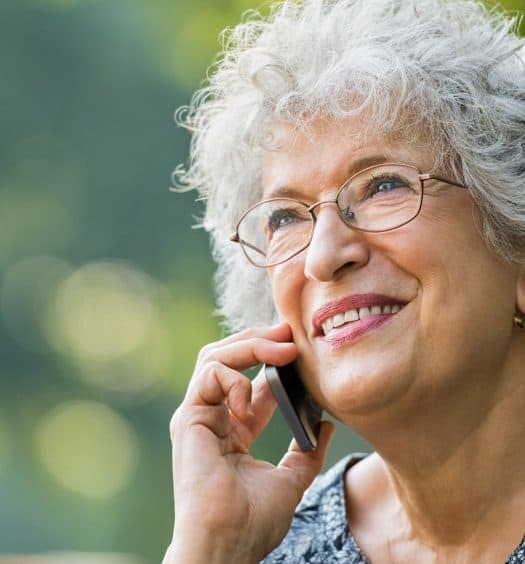 You probably don’t know this, but the phone waiting time simply to make an appointment to meet with a representative to apply for Social Security can be about two hours. Getting an in-person appointment can take weeks or even months, depending on where you live. Although you will most likely have to present documents in person, do accept the earliest phone appointment possible. You will be able to start the application process and find out what forms you need to apply for Social Security benefits and Medicare coverage. Calls to credit card companies as well as phone and cable providers to change account holder names will also involve long wait times and possibly several calls to resolve issues. Dependent medical coverage is not automatically extended for some period after a policy holder dies, nor should you assume that you qualify for COBRA coverage. If you had been covered by your spouse’s plan but are over age 65 at the time of the spouse’s death, then you may not be eligible for COBRA following your spouse’s death, in which case you would then have to apply for Medicare. If a particular bill has been paid from one computer, when you log on from another device to access that account, you’ll likely be asked to answer one or more security questions, (set up by the deceased) which, if you answer incorrectly, will complicate your ability to access the account. If all your bank and brokerage accounts were held jointly or you were named as sole beneficiary, then you can probably avoid the need for court authorization to inherit or dispose of any assets owned by the deceased. However, if your spouse owned property only in his or her name and there is no will, then you will probably have to apply to the county probate court to be named administrator of the estate in order to take title to that property. For example, if the title to your car was only in your spouse’s name and you want to sell the car, you will need to file an application with the Department of Motor Vehicles to transfer the title to your name before you can dispose of it. If you’re not planning to use the car, you’ll want to do this quickly to avoid having to pay car insurance premiums. You’re dealing with a lot, and you’ll be getting snail mail, phone calls, and emails, including paperwork to complete and sign. You can use old fashioned school folders organized by category – phone bill, cable bill, health insurance, etc. If you’re computer savvy, set up online folders to keep track of everything. Getting your initial Social Security payment may take weeks, even if you start the process immediately after your spouse’s death. Meanwhile, you still have to pay all your bills, such as mortgage and utilities, as well as any costs of upkeep. Don’t assume that late payments will be waived! Keep asking questions. If your spouse was working, contact the employer’s Human Resources department and ask about any death benefits, employer-provided life insurance or any other benefits for emergency situations. Most employers have death benefit policies but, for whatever reason, people may not be helpful or considerate of your situation. If you’re not getting the answers you need, keep asking. Follow up or ask to speak to someone else. Keep track of everyone’s name and dates they promised to get you responses. Losing a spouse or family member is incredibly stressful, but you can’t ignore financial realities. You don’t want to be reminded of your loved one’s illness or suffering, so you may not want to open up any hospital bills or health insurance statements. However, you’re still responsible for paying for medical treatment, so don’t ignore hospital bills. Open them or enlist a friend or family member to help you. Remember, an Explanation of Benefits (EOB) from an insurer is not a bill. These EOBs will usually list procedures and medical tests performed, their costs and what your insurance covers. There is often a difference between the billed charges and what the insurer will pay the providers. That difference is usually the patient’s responsibility to pay. However, an EOB comes from the insurer, not the doctor or institution doing the billing. When you do eventually get a bill from the medical provider, make sure it is consistent with the information on the EOB relating to the service being billed. If you believe that the bill is incorrect, you don’t immediately have to pay it. Reach out to the billing physician or hospital as well as the health insurer so you understand the bills. Initially, friends and family will probably drop off food and offer to assist you, but many of these offers quickly fade away. Consider yourself lucky if you have a few people who help you with all the annoying details of daily life when you’re grieving and also stick around to provide support and companionship. Who manages your bills and finances? Under what circumstances did you start doing them yourself? Have you had to help any friends or relatives in an emergency situation? We’d love to hear about any strategies that you have used.